In Nagasaki, we have a dialect word “saruku” which means “walk around”. An event called “Nagasaki Saruku” has firmly rooted in Nagasaki city and it has become the joys not only of tourists but also of citizens. The event usually takes place in a way that a guide who knows about historical sites or the culture of Nagasaki shows around the participants in the event. 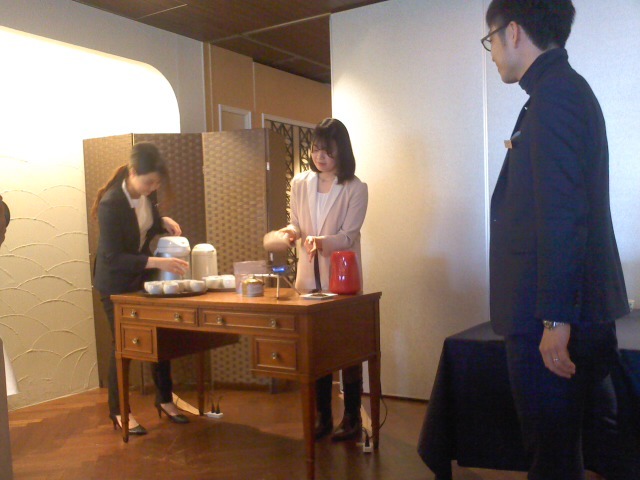 Recently, it becomes more attractive event with some good ideas. An event I joined this time was called “Lunch Saruku”. This is an event held by a man named Kirino, who is the very person that started “Nagasaki Saruku”, in association with Setre Glover’s Hotel Nagasaki. We assembled at the hotel at eleven o’clock in the morning, and then we walked around an area called Higashi Yamate, stopping by Oranda Zaka, the house at No. 12 Higashi Yamate, and the Mausoleum of Kong Zi. Mr. Kirino entertained us with his great store of knowledge and fantastic skill at telling stories during all that time. If the event finished at that point, it was just an ordinary Saruku, but after that, it was just when we really felt hungry, we could enjoy tea and lunch back in the hotel with a lady introduced as “fragrant tea coordinator” serving some teas and green teas, even demonstrating how to do that. The “fragrant tea coordinator” was a young lady named Honda Sanae who was so enthusiastic about her job that she visited some tea farmers in Nagasaki prefecture and bought tea leaves by herself, and she even stayed overnight there to help with the harvest. 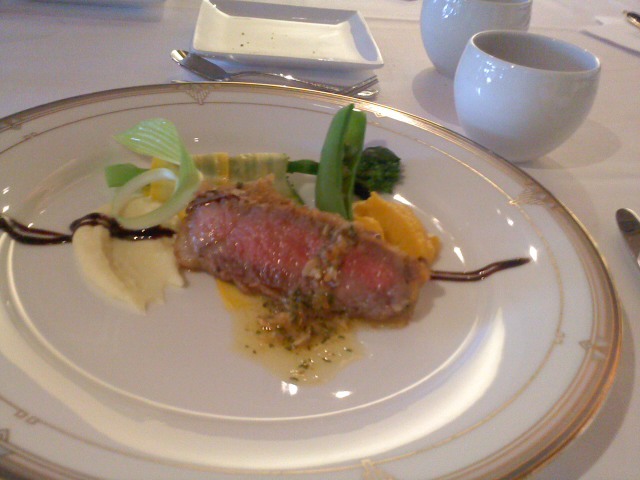 The chef was named Nakamura Naoto, the chief cook in Setre Glover’s Hotel. The lunch was a four-course meal using local ingredients, and the chef came to make a comment politely each time a course was served. The dishes are of course fantastic, and besides, teas which were served with each course meal were really good and made me so happy. The entry fee was four thousand yen but this event was worth more than that. There seems to be other projects they are planning so I’m looking forward to them.